in the second year of the blog, when Jilly issued a challenge in December 2013, and kicked off the week on December 21 with a less-than-500-word short story (see it here). I love a challenge! And promptly broke the rules, LOL. I had such fun, though. Bunny Blavatsky, Spirit Photographer, came to me through a bunch of Google Images during a February story challenge, and I spent the next year doing research and writing the beginning of the adventure for the character I had created. Someday, I’ll get back to that girl! Jilly’s story challenge brought us 2014‘s “How Bunny’s Camera Became Magical (The Return of Mr. Glossop)” and 2015’s “Bunny Blavatsky Arrives in New York” came via Elizabeth’s story generator (special Christmas edition!). I was sure that I’d written about Jack and Olivia for Christmas 2016, but I guess that was entirely in the comments – a five-part “epic” where my frost god and my hedge witch went to Santa’s workshop. Instead, I chose to write a stand-alone story about a guy on an airplane. You can look it up: Christmas Eve, 2016. I thought 2017’s Christmas story was also something with Jack and Olivia, but I was wrong. It was a steampunk adventure in a universe I’d like to visit again someday. It’s funny how memory plays tricks on you: I was sure that most of my December writing was inspired by my works in progress, but it turns out that isn’t true at all. This false memory was worrying me, because I’m currently working in a universe that may not have Christmas at all. Although, on the other hand, why not? 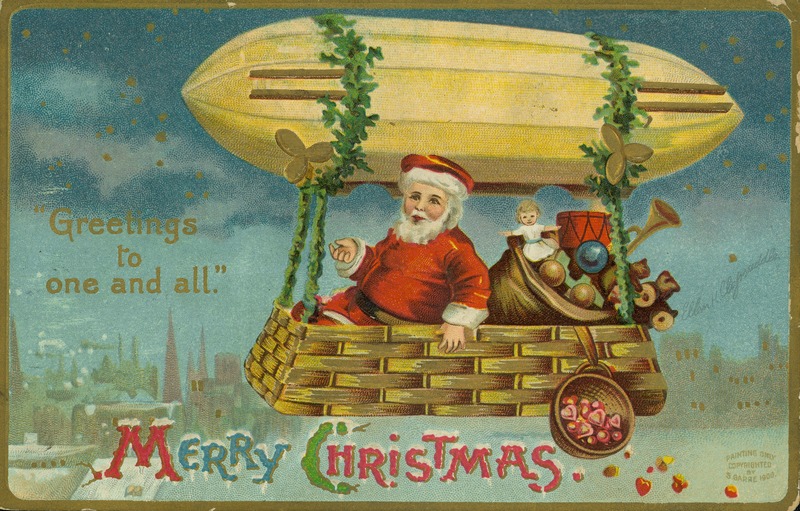 Why should we be deprived of Christmas just because we’re on a spaceship where time hasn’t got a strong foothold? They still have calendars, after all! At any rate, our stories don’t end just because National Novel Writing Month is over. There’s plenty to choose from, and if we can just squeeze a few hours here and there from our festive schedules, we’ll be able to share them with friends and fans around the world! This entry was posted in Christmas stories and tagged #NaNoWriMo2018, December is a great time to write!, December stories, Duskova writing links, E.M. Duskova, Michaeline Duskova, National Novel Writing Month, seasonal stories, writing motivation. Bookmark the permalink. LOVED Bunny Blatavsky, Michaeline! I really look forward to reading these Christmas Week treats. I also have fond memories of writing some of these. The kick-off short story you linked to above was a welcome distraction from visiting my mum in her nursing home. I sat in a pub with my husband, a stiff drink, and the prompt words. Mistletoe and Ivy was written late on a very snowy Christmas Eve in a rental cottage in Bakewell (the same one Kay and I rented on our Derbyshire adventure). I was the only one still awake when the clock chimed midnight, because I was still wrestling with the words. Oh, I love this story-behind-the-story. So much of ourselves is invested in the writing of a story, so even if none of it shows up in the story, we can remember the drinks we had as we were writing Scene 3, or what was going on. That nostalgia is something else. A comfort during hard times, and a celebration when things are going well. What Jilly said! Bunny Blavatsky is the BEST. More, please! Anytime. Christmas or no. (-: I haven’t abandoned her! I think I’m waiting until I’m a little better writer before I tackle her. I don’t know for sure, but she’s been in the corners of my mind quite frequently this fall, so she might be next!